Howard Gardner is a developmental psychologist best-known for this theory of multiple intelligences. He believed that the conventional concept of intelligence was too narrow and restrictive and that measures of IQ often miss out on other "intelligences" that an individual may possess. His 1983 book Frames of Mind, outlined his theory and his eight major types of intelligence. Gardner's theory had a particular impact in the field of education where it inspired teachers and educators to explore new ways of teaching aimed at these different intelligences. "We have this myth that the only way to learn something is to read it in a textbook or hear a lecture on it. And the only way to show that we've understood something is to take a short-answer test or maybe occasionally with an essay question thrown in. But that's nonsense. Everything can be taught in more than one way," Howard Gardner has suggested. 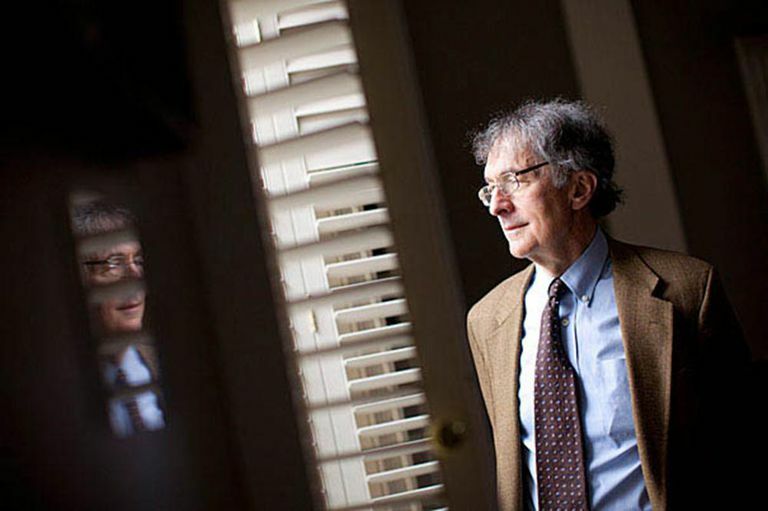 Howard Gardner was born on July 11, 1943 in Scranton, Pennsylvania. He described himself as "a studious child who gained much pleasure from playing the piano." He completed his post-secondary education at Harvard, earning his undergraduate degree in 1965 and his PhD in 1971. While he had originally planned to study law, he was inspired to study developmental psychology by the works of Jean Piaget. He also cited the mentoring he received from the famous psychoanalyst Erik Erikson as part of the reason why he set his sights on psychology. "My mind was really opened when I went to Harvard College and had the opportunity to study under individuals—such as psychoanalyst Erik Erikson, sociologist David Riesman, and cognitive psychologist Jerome Bruner—who were creating knowledge about human beings. That helped set me on the course of investigating human nature, particularly how human beings think," he later explained. After spending time working with two very different groups, normal and gifted children and brain-damaged adults, Gardner began developing a theory designed to synthesize his research and observations. In 1983, he published Frames of Mind which outlined his theory of multiple intelligences. According to this theory, people have many different ways of learning. Unlike traditional theories of intelligence that focus on one single general intelligence, Gardner believed that people instead have multiple different ways of thinking and learning. He has also proposed the possible addition of a ninth type which he refers to as "existential intelligence." Gardner's theory has perhaps had the greatest impact within the field of education, where it has received considerable attention and use. His conceptualization of intelligence as more than a single, solitary quality has opened the doors for further research and different ways of thinking about human intelligence. Researcher Mindy L. Kornhaber has suggested that the theory of multiple intelligences is so popular within the field of education because it "validates educators' everyday experience: students think and learn in many different ways. It also provides educators with a conceptual framework for organizing and reflecting on curriculum assessment and pedagogical practices. In turn, this reflection has led many educators to develop new approaches that might better meet the needs of the range of learners in their classrooms." Gardner currently serves as the Chairman of Steering Committee for Project Zero at the Harvard Graduate School of Education and as an Adjunct Professor of Psychology at Harvard University. Gardner, H. (1983;2003). Frames of Mind. The Theory of Multiple Intelligences. New York: BasicBooks. In his 2013 book The App Generation, Gardner and co-author Katie Davis suggest that the theory of multiple intelligences has too often been conflated with the idea of learning styles. The two are not the same, Gardner explains and uses a computer analogy to demonstrate the differences between the ideas. Traditional conceptions of a single intelligence suggest that the mind possesses a single, central and all-purpose "computer" suggests Gardner in his book. This computer then determines how people perform in every aspect of their lives. Gardner's conception of multiple intelligences, on the other hand, proposes that the mind possess a number of "computers" that act mostly independently of one another and contribute to different mental abilities. Gardner believes that people may have somewhere between seven and 10 distinctly different intelligences. Learning styles, on the other hand, relate to an individual's personality and learning preferences. The problem with the concept of learning styles, Gardner explains, is that not only are they only vaguely defined, research has found little evidence that teaching to a student's preferred style has an effect on learning outcomes. Gardner distinguishes between his multiple intelligences and the idea of learning styles by defining intelligences as a mental computational power in a certain area such as verbal ability or spatial intelligence. He defines learning styles as how an individual learner approaches different educational materials. Gardner's theory of multiple intelligences has had an important impact on how we think about human intelligence. Rather than simply focusing on a single measure of human cognitive ability, it can be helpful to consider all of the different mental strengths that an individual may possess. Edutopia. (1997). Big Thinkers: Howard Gardner on Multiple Intelligences. Retrieved from http://www.edutopia.org/multiple-intelligences-howard-gardner-video. Gardner, H. & Davis, K. (2013). The App Generation: How Today's Youth Navigate Identity, Intimacy, and Imagination in a Digital World. Yale University Press. Kornhaber, M. L. (2001) 'Howard Gardner' in J. A. Palmer (ed.) Fifty Modern Thinkers on Education. From Piaget to the present, London: Routledge. Smith, Mark K. (2002, 2008) 'Howard Gardner and Multiple Tntelligences', The Encyclopedia of Informal Education, http://www.infed.org/thinkers/gardner.htm.